McLean’s Business District: Place to Run Errands or European-Style Downtown? A common theme at last night’s (Thursday) open house for the McLean Community Business Center (CBC) Planning Study is that McLean is a community without a sense of identity. The CBC is as close as McLean has to a downtown, but it’s one whose core has more gas stations than coffee shops. The CBC Planning Study is an effort to change that and transform downtown McLean into something residents could be proud of and hopefully kickstart economic revitalization in the area. 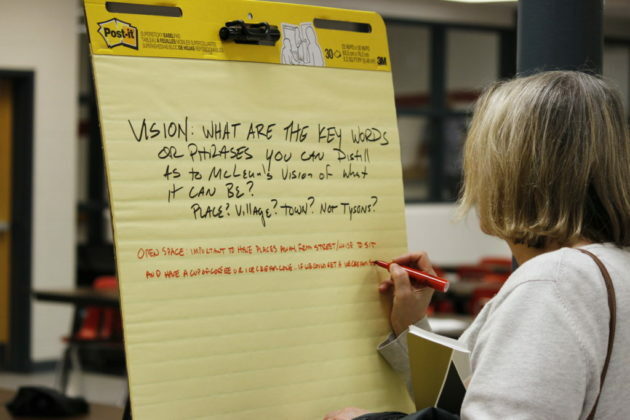 The CBC Plan would act as an update to the 20-year-old Comprehensive Plan for McLean. Last night was the CBC Planning Study’s first open house and focused on collecting input from citizens. McLean exists on the periphery of the hustle and bustle of Tysons, feeling more like a village than a city. 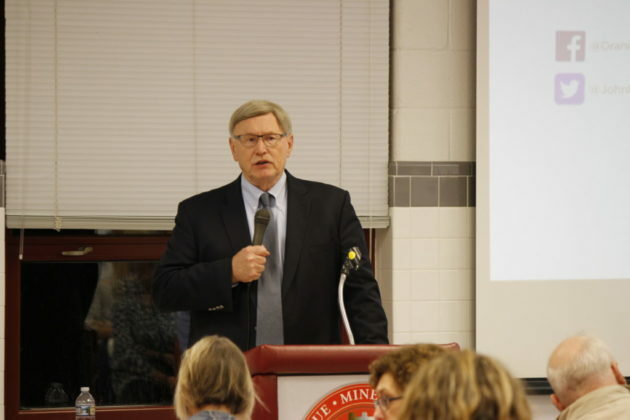 At the meeting inside the McLean High School cafeteria, the few dozen attendees mostly knew each other and many have been to earlier CBC planning meetings. But unlike other Northern Virginia communities like Arlington or Falls Church, citizens of McLean say there’s no feeling of a central community. McFalls, like many other nearby residents, said she wants the area to be more walkable. As McFalls started talking about her vision for a more pedestrian- and park-friendly downtown McLean, friends joined in and referenced the Italian tradition of “la passeggiata,” the art of a social walk in the evenings. McFalls agreed, saying they hope for a more European-style downtown where residents can mingle and enjoy the local park. Rob Jackson, chair of the McLean Citizens Association’s Planning and Zoning Committee, echoed sentiments from Supervisor John Foust in saying that the area will also have to contend with the ever-swelling plague of traffic coming to and from Tysons through McLean. Colin Greene, senior director of planning for project consultant Streetsense, said that over the next five years McLean is projected to have 80,000 square feet of retail developed, though much of this would be replacing existing retail locations. Over ten years, Greene said McLean should expect an additional 40,000 square feet of retail to be built in the area. Greene also noted that residential growth in McLean is expected to rise, with 900 total units projected to be built in the area over the next ten years. Most of these, Greene said, will be apartment buildings. But Bill Frazer, a local resident, said he was concerned that the plans and projections didn’t take into account the intentions of the people who own much of the land in downtown McLean. Katrina Newtson from the Fairfax County Department of Planning and Zoning said the task force is comprised of several landowners and is working on pulling all of the major stakeholders in McLean into the process. Input on the CBC Planning Study will be collected until Nov. 15. 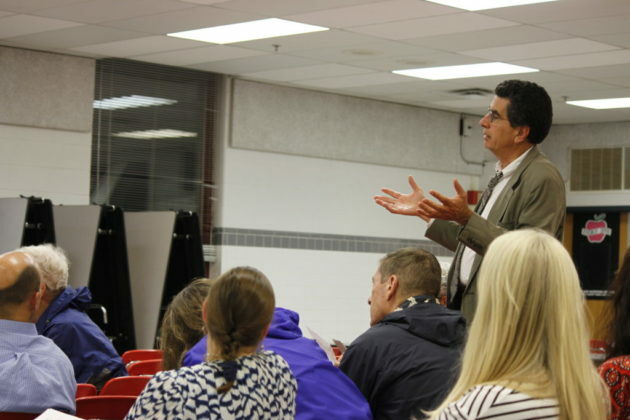 The next open house will be held on Nov. 8 from 7-9 p.m. in the McLean High School cafeteria. 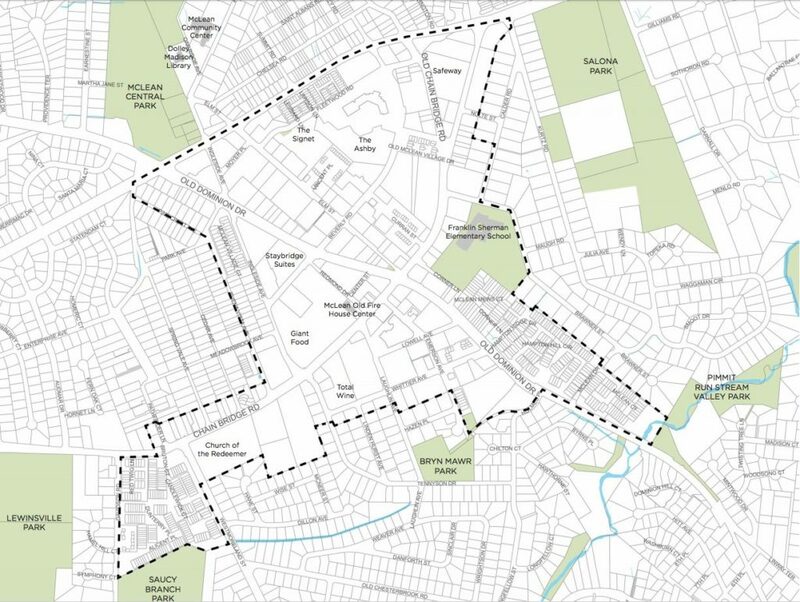 The CBC Planning Study meets through early spring to draft a plan for downtown McLean. In late 2019 or early 2020, the final vision plan will be sent to the Board of Supervisors for adoption.